The remake doesn't really look or even less play better than the original. I played it with PAL artifacting, though. This is a one to have in your collection, it's not awesome, just ok.
Am I correct in guessing that Atari had the game rewritten because the original used "artifacted" colour that wouldn't have showed up correctly- if at all- on PAL systems? Greg B. LOL - you nailed it. Absolutely true about Choplifter. You played it on rare occasions, and after losing three or so planes, you'd quit and go back to playing Pharaoh's Curse the rest of the evening. 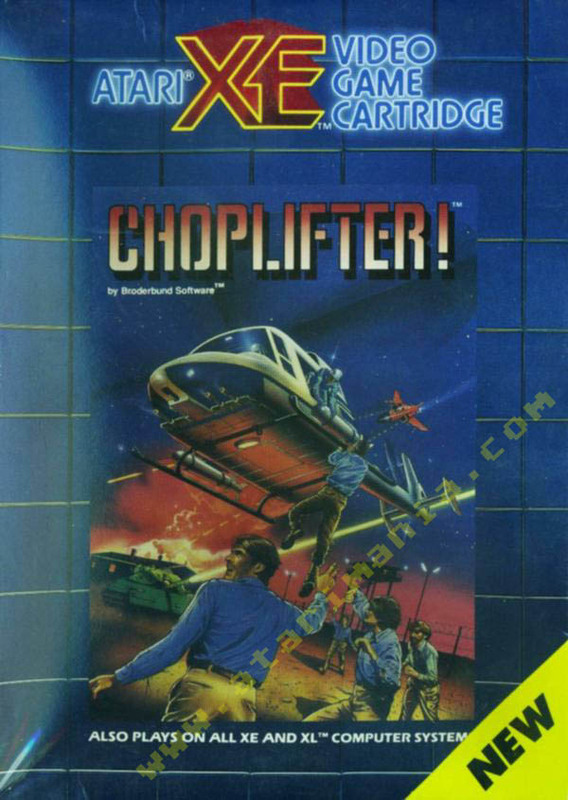 Also, ChopLifter was more of a big deal on Apple back then... and looked like crap on the Atari computers, like most Apple originals. One of the most over-rated titles back in the day. Great example of a game which everybody you knew owned...and nobody ever played it for more than 10 minutes at a time. Also a very early (un-heeded) example of the concept of great graphics NOT equaling a great game. a boring game with OK graphics... however I understand this game has some sort of a cult following. I don't really know if this was much of an improvement. Sure, it has multicolored graphics and much-improved sound, but it loses a lot of the character of the original monochrome version(the animation of the hostages has been greatly degraded, for instance, and the graphics in general are blockier and less detailed). It also doesn't really add much of anything. If multicolored graphics are your thing, by all means, go with this. I like the original more. 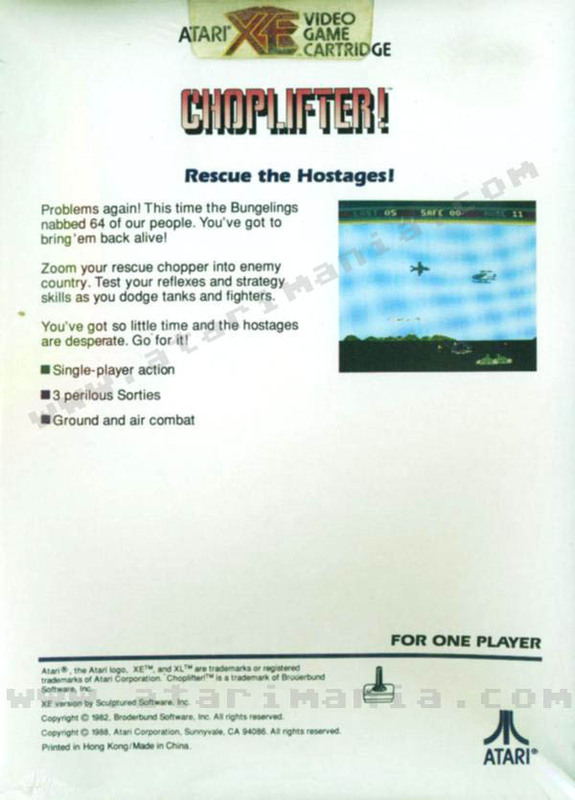 The influence of the SMS version of Choplifter is obvious. While not on the same level as some of the other Sculptured Software titles of the same era (Commando, Mario Bros.), it still is a great game and an excellent upgrade considering how good was the 1982 Broderbund original. This version has fantastic looks and loose control, anyway a classic no more, no less. Click here for the original game.